After a career in teaching, Nancy began writing young adult books. The Waiting for Dusk series includes a historical fiction prequel, Broken Dreams. 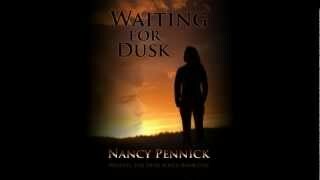 The fantasy romance series has three books-Waiting for Dusk, Call of the Canyon and Stealing Time. The Swedish influences in the series come from her mother whose parents emigrated from Sweden. Her new series-Twenty Nine-has slowly developed over time. Last Leap Year, an idea came to her and she created the characters and story based on that special day, February 29. She has now branched out into historical romance with her Clan MacLaren series. 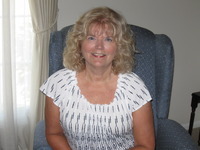 Born and raised in Northeast Ohio, Nancy currently resides in Mentor, Ohio with her husband, son, and a delightfully entertaining lovebird. To ask Nancy Pennick questions, please sign up. Are you going to write more about Ross and Juliet? There's an old song that goes something like, summertime and the living is easy...but I find itquite the opposite! Graduations, weddings and baby showers seem to take over the season. Add gardening, outdoor chores, and grass cutting to the list and it makes you thankful for longer days! This is a great series that does not get too dark or inappropriate. I loved it so much I am going to let my daughter read it now! " "I read this book via an Amazon KINDLE Unlimited download. "Third book of a series of three. Well written, easy to pick up where book two left off. I enjoyed all three books." Love conquers all. Even though Gideon’s Scottish mother easily made the decision to follow her heart and marry an English nobleman, his path to love is filled with obstacles. Maeve swore love saw her through the tough times, and Gideon hopes the same Love conquers all. Even though Gideon’s Scottish mother easily made the decision to follow her heart and marry an English nobleman, his path to love is filled with obstacles. Maeve swore love saw her through the tough times, and Gideon hopes the same for his romantic journey. Finding his Scottish side on a trip to his mother’s ancestral home, he falls for a young widow who recently lost her husband. Even as sparks fly, Lissie must adhere to the rules of the time, mourning her deceased husband for a year. We’d love your help. 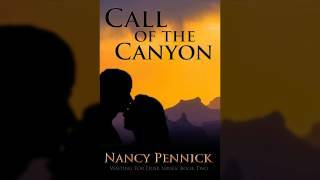 Let us know what’s wrong with this preview of My Highlander Husband by Nancy Pennick. The title is a great play on words for what happens in this story. The author captures the high school vibe and how it feels to be a teenager. Val is caught in an almost inescapable predicament with the town bully. Chris is part of the town's reignin The title is a great play on words for what happens in this story. The author captures the high school vibe and how it feels to be a teenager. Val is caught in an almost inescapable predicament with the town bully. Chris is part of the town's reigning family, and feels he can do no wrong. Enter Liam, a new guy in town, and everything changes. Val and Liam grow close, and Chris doesn't like it. Second Chance Brides is a great read with well developed characters. If you're looking for an interesting story, not just romance, I recommend this read. Well done. I read Wuthering Heights in high school and recalled the passion and torture of Heathcliff's love for Catherine. Every time I heard Wuthering Heights, I thought of unrequited love, the Romeo/Juliet aspect of it all. Boy, did I have that wrong. Fast f I read Wuthering Heights in high school and recalled the passion and torture of Heathcliff's love for Catherine. Every time I heard Wuthering Heights, I thought of unrequited love, the Romeo/Juliet aspect of it all. Boy, did I have that wrong. Fast forward years later, and I decided to read it again. I have a much different perspective this time around. Wuthering Heights is full of selfish, mean and revengeful characters. Heathcliff could never stop taking revenge on the people he lived with his whole life and the family Catherine married into. One comment made by Catherine during their teen years, causes Heathcliff to flee and not return for three years. What did he expect would happen? I didn't remember the physical violence against women and found it interesting the author decided to let anything that reminded Heathcliff of Catherine to torture him, instead of making him feel closer to her. I didn't remember (spoiler alert) Catherine dying so soon in the story and so much about those characters in place of H & C.
Kit (Christopher) and Grace have their lives planned and in place, until a meeting at wedding. They have no idea at that moment how all that will change. Grace’s cousin weds Kit’s twin brother who will inherit the family estate. Kit goes back to his Kit (Christopher) and Grace have their lives planned and in place, until a meeting at wedding. They have no idea at that moment how all that will change. Grace’s cousin weds Kit’s twin brother who will inherit the family estate. Kit goes back to his life in the military until sad news reaches him. His brother dies, he must come home. Grace heads to the estate to be with her cousin. Kit and Grace meet again. Grace fights the attraction, loyal to her father and little brother. Thanks to the five-year-old, he brings them together in an explosive way. You’ll just have to read and find out how that happens. Ms. Wynne is true to history and uses many descriptive passages to set scenes. The reader will get the feel of the times, food they ate and clothes they wore. Times were different, certain rules applied to courtship and who should wed and why. I think Grace fought the system, not just because of loyalty to family, but she hadn’t met the right person. The Earl of Sunderland is a lovely read with only a touch of wickedness. Elsa and her granny have a special world, a special language between them. Granny has created this world to help Elsa cope with the real one. But, as the reader continues on, a connection to Elsa' every day world is made. I give this book 5 stars for Elsa and her granny have a special world, a special language between them. Granny has created this world to help Elsa cope with the real one. But, as the reader continues on, a connection to Elsa' every day world is made. We’d love your help. Let us know what’s wrong with this preview of My Grandmother Asked Me to Tell You She's Sorry by Fredrik Backman. “Doctor Who: You want weapons? We're in a library. Books are the best weapon in the world. This room's the greatest arsenal we could have. Arm yourself!